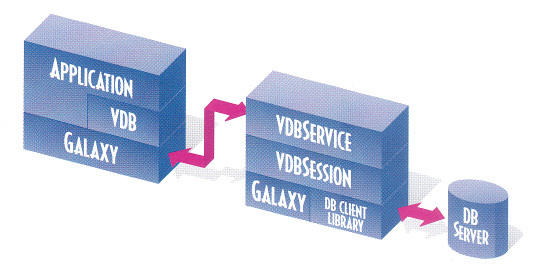 Galaxy is a comprehensive development environment that allows the developer to create applications that are independent of specific network, operating system, and window system services. The Database Protocol includes a set of libraries, user interface objects, and visual tools that will enable developers to easily build applications that access multiple relational databases with one development effort. The database is e a database-independent API abstraction. The lower level API will allow the application to obtain data from databases using Structure Query Language (SQL) statements.